In efforts to make Flickr "awesome again," Yahoo unveiled today their new and re-imagined Flickr with a new design and new features. Some of the major design changes include a new homepage featuring large images posted by your friends, new beautiful profile photosteam and new photo pages. Flickr also announced each user will get 1 Terabyte of storage for free, with the ability to upload hi-res photos, and many of them. Since Yahoo! 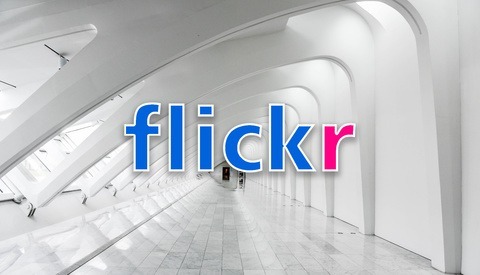 acquired Flickr back in 2005, almost no changes were made to the service or the design of the website. This decision to keep Flickr as was for so many years caused the service to fall behind and thereby losing its popularity and its users. Yahoo's new CEO, Marissa Mayer, promised to do everything to make Flickr awesome again, and today she proved she wasn’t just talking big - she really meant it. The Home screen got a major face lift and looks nothing like what it had for the past 6 years. The "recent activity" space was removed and replaced with an endless feed of big, uncropped images posted by your friends. Also Flickr added a few neat new features including the ability to share or comment right from the home page without having to click on the image and go to a different page. Also on the page: random groups you are part of, people you may know and the most recent blog post by Flickr. Pros: It's great to see large images and gain the ability to comment, favorite or share without having to go to additional pages. Cons: One of the things I liked the most about the old Flickr was the fact I was able to see all the recent activity (comments, favorites) right on the main page. I used to go to Flickr.com a few times a day just to see what’s new and who left a comment on my images. Another useful tool I liked on the old Flickr was the Stats, which was located right on the top of the page. Now to access both features, I need to find them in the dropdown under the "you" menu. I have no idea why Flickr decided to bury these two great and, to me, useful features. No more web 1.0 look and feel here. The new Photostream is now ‘Justified’ - all the images in the photostream are aligned to form a wall of (uncropped) photos, similar to what you see at the 500px homepage. 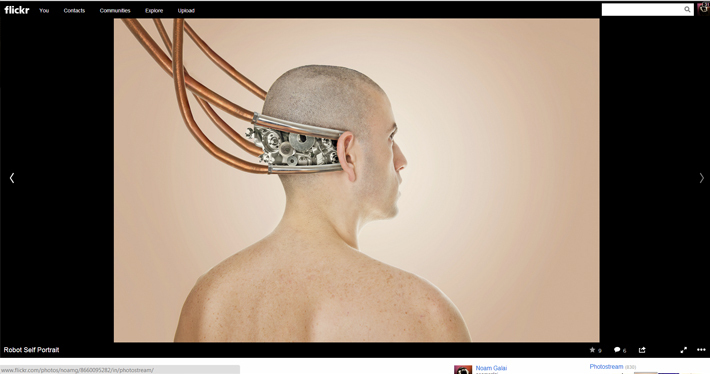 In addition, Flickr added a cover photo to the photostream, similar to Facebook and Google+. You can choose cover photos from your stream or upload a new one. Another minor change is having a bigger profile image. If you uploaded your profile photo long time ago, this is the time to change it. 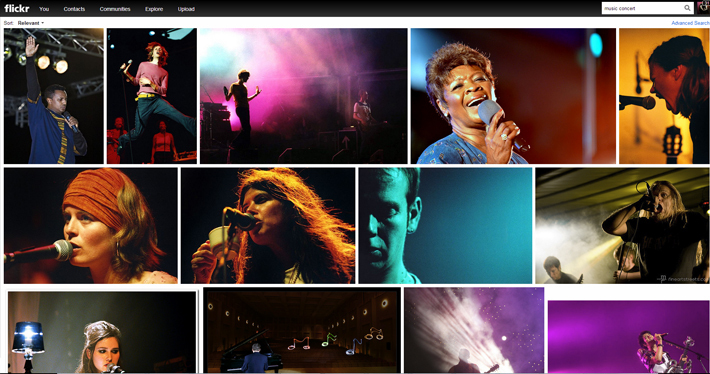 Pros: The new photostream page looks beautiful and easy on the eyes. It will make people scroll through different photostreams more often and will finally make people feel like they’re surfing a website that was built in 2013 and not something trapped in the early 2000s. Cons: For some reason, unlike the homepage, when clicking on the commenting icon it takes you to the photo page. Also unlike the great features on the homepage people can’t favorite images directly from the photostream. 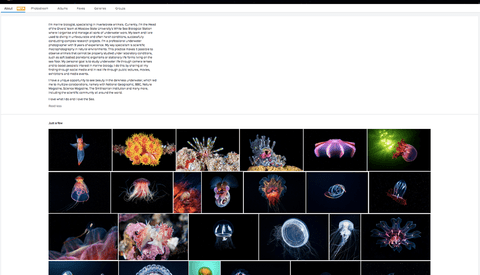 The new photo page features large, hi-res images on a black background. All the other features and details are hidden down below and users will have to scroll down to see the description, tags or comments. Pros: Flickr wanted people to be able to enjoy hi-res images and enjoy being able to focus just on that. Seeing large images like this is great- Total success on this matter. Cons: I don’t like the fact people have to scroll down to see there is more on that page other than the image - it seems like it will make interaction with the images decrease, and I expect to get less comments from now on. Also, I personally don't like the fact half of the page is black and half white. It looks messy. Flickr should decide what is their background color, and make sure it stays the same all through the website. The way it is right now makes me feel like I clicked something wrong by mistake. Another issue is the fact all the useful tools we used to have on the top are now under one dropdown (more like dropup) button located somewhere on the bottom of the black screen. The last con is the fact I couldn't find an easy or intuitive way to go back to the photostream. The search page got the same face-lifting the photostream got. All the results are now justified, and organized like a wall of images. Also, there are no more pages. The result feed is endless and will continue to show results as long as you keep scrolling. Pros: Looks great and makes users want to scroll through more images. Cons: Not being able to comment right from the result page like it’s possible on the homepage. Many of you probably won’t notice, or care. 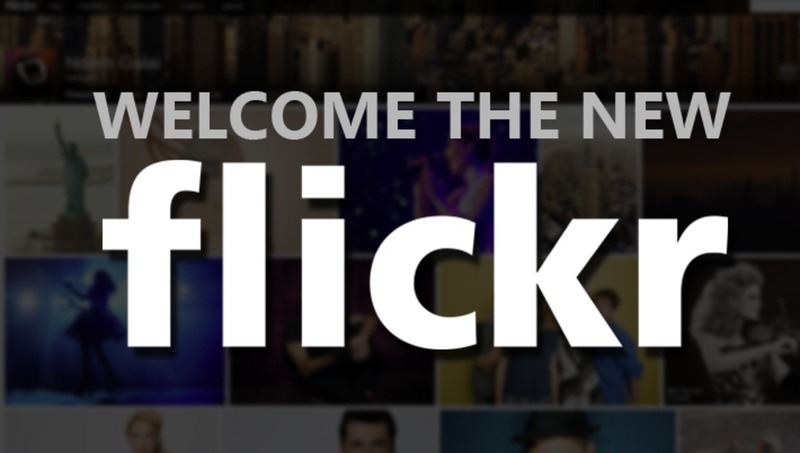 But Flickr’s logo is now black and white. No more blue and pink. Flickr now offers a whopping 1TB of storage, for free. Users are now able to upload images as big as 200MB each (the limit used to be 50MB per image) and Flickr promises to keep the images in their best quality. This is a major change, and I think it's a great one. Users who want to have more storage can pay $499.99 per year to get a 'Doublr' account with 2 Terabytes of photo and video space. Flickr Pro ($25 per year) used to have many features free users didn't have: stats, no ads, unlimited photo and video uploads and the ability to replace photos. As of today, FREE and PRO users will have the same exact features with one difference: Pro users won't see ads. 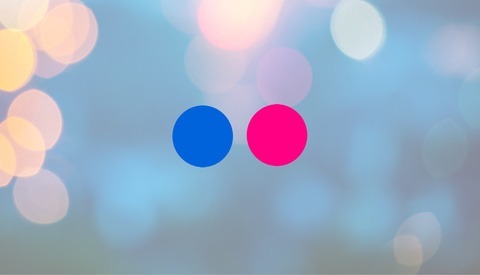 Starting on 5/20/13, Flickr will no longer be offering new Flickr Pro subscriptions. Pro members have the option to switch to a Free account until 8/20/13. Existing Pro users who want to have no ads on their Flickr will be able to renew their subscription and it will cost $49.99 per year. 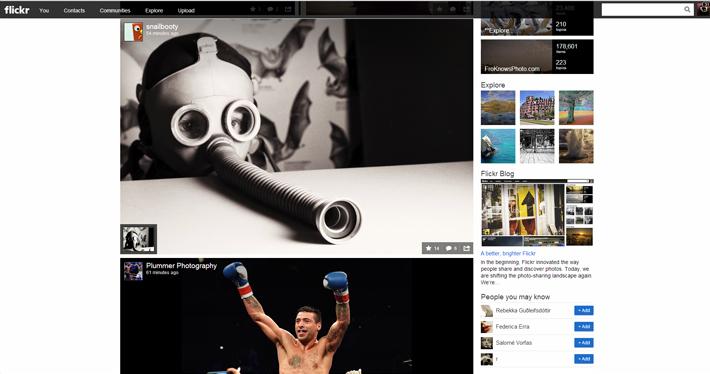 Do you like Flickr's new changes? Will you use Flickr more or less now? Let us know in the comments below. 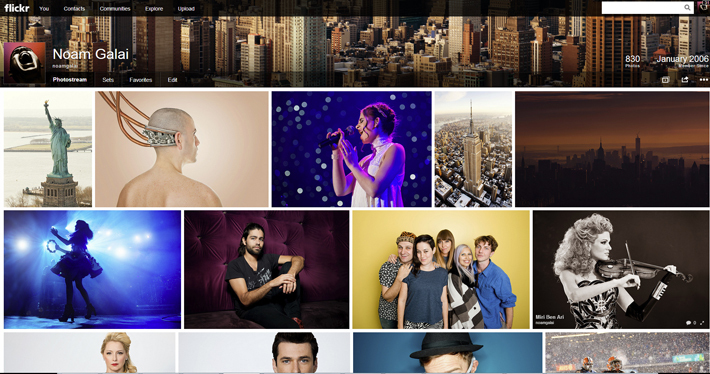 Flickr Introduces New Showcase Feature, but Does It Still Matter? Still though, I feel like if we've been on Flickr Pro for X years we should see a little discount on Pro aka non-ad version of the site. You read it right. $49/year for ad-free, $499/year for 1 additional TB. It seems that is still the cheapest you can get 2TB anywhere from what I read in another article. Google would charge $1200 (99.99/month). Pretty amazing actually to undercut them by more than half. IMO, all the self-proclaimed successful bloggers / FB pages of major companies will now go to flickr for hi-rez photos, instead of digging deep into the google search engine. It does look great, we have to give them that (even if it`s not groundbreaking). But it will still be the place where people go if they need a hug. And the new 1TB service is CLEARLY targeted at soccer moms (and the likes) that have no idea how to resize a D800 36MP file. LOL, but it is easier for everyone to just not resize. I know I won't be resizing anymore now. I gave up doing that a while back anyway since it was a pain to do it and to maintain multiple copies of everything on my own computer also. And my buddies can download full size that way, etc. I'm betting that since it's easier, it will compete better. flickr looks cool, but I wonder, how about backup my photostream? as in downloading it to my computer... more sites are including that feature nowadays. So happy my autopayment to Flickr came out of my account today! I can't believe this. Yeah, I just renewed for 2 years about a month ago... &gt;&lt; Wish I hadn&#039;t bothered. You can cancel and you'll get a refund! I did and have already rec'd my refund! 1TB of is cool… but storage isn't the reason I left Flickr. Agree, and Tumblr. Yahoo is going for it and going with their strengths which is what they should do. So, if I recently paid for my Pro account, I have to change to a "free" account by 8/20/13? What if I want to change at the end of the year I already paid for? I don't use it enough to double what I've been paying. I've been navigating around the new Flickr today. It does look nice, but it took some time to find functions that were previously easy to find. I guess it will be a learning curve, just like everything else. I was wondering about the same issue...bought my first year of pro this February....if i don't go for free in august...will I loose the free Terabyte ? I think you're misunderstanding. Pro is now Ad-Free. Free and Pro/Ad-Free all get 1TB *no matter what*. You won't lose that 1TB. You just won't be ad-free anymore. It's $500 USD/year to add space. You can buy a domain name, along with unlimited hosting and bandwidth, for much less than that per year. I did some research myself. Since I have a Rro account I would have unlimited space for as long as keep my subscription continuous, if not, I would revert to the 1TB version without the ever having the option to go unlimited again ( just Ad-free or Doublr ). But honestly 1TB is more than enough for me. I suppose I don't get anything back if I revert to free right now, so I might as well enjoy my Ad-free till next year. Thank you for you answer anyways. I changed yesterday from "Pro" to free and got a pro-rated refund. Well I'm new to Flickr, as in never used so I'm impressed. Just wondered what everyone's feelings on uploading big, hi res images are. On FB I usually save for web and try to keep the files under 1m but if I'm to start using these sites for my work what's the recommended size? Obviously I'd like to get noticed but at the same time I don't want to destroy the planet! It seems that they forgot to update the mobile version of their site. It used to cost $29.95 USD/year. As of now, it's gone up to $49.99/year, which is almost how much it used to cost for two years of Pro. ...ok, now I know the issue - if you as existing Pro user let automatically renew your abo it'll cost 29,95 $! 1 TB free just sounds unbelievable to me, I remember when my imac had a 4gig harddrive. Pro users still get stats, unlimited uploads, and no weekly bandwidth cap. So its more than just the lack of ads that differentiate it from the free accounts.